I would like to first say “great website”. Now the reason I’m writing to you..I’ve been contemplating doing the R.N program for a while now. I’m 31 yrs old, (is that too old? )I put everything on hold to stay home and raise our 2 beautiful girls. Well, those 2 little girls are now 8 & 10. I feel confident to start college while there in school during the day. The Registered Nurse RN program and the MLT program have both captured my interest. 1. Nurses eat each other… meaning: backstabbing, rudeness, cattiness, and emotional torture to an extreme. 2. The work is literally backbreaking. Older nurses have to take sick leave due to back and stress and strain injury’s quite often. 3. We are grossly understaffed… it is actually a danger to the patients to have a nurse with a 6-10 to 1 ratio of patients to nurses. 4. NURSING SCHOOL IS TORTURE…. 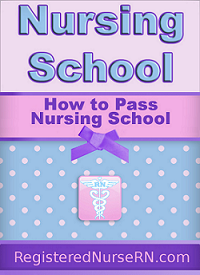 there are few nursing instructors who are any good, so we get left with the teachers who are teaching nursing simply to go a bastardized power trip that does nothing but drive students mad, and makes you feel worthless, helpless, and frustrated…. at age 43 you deserve more respect, but you will not get it in nursing. 5. Doctors think nurses are morons and they treat us that way, and in return we mistreat each other. Truly sad! 6. You can lose your license that you worked sweated and paid thousands to get for idiotic reasons because even though the doctors have 4 years of med school and residency and internship, and the pharmacists have 4 years of pharmacy school and a BS in chemistry….WE…. THE NURSES will be FULLY RESPONSIBLE if a patient’s medication is wrong in any way! WHY? because we are the last and final legal **** screen for ALL medical incompetence! 7. There is a nursing shortage FOR A REASON!!! I’m sorry to put up negativity, however, I wanted you to see what I keep stumbling upon whenever I research this career. Your honest feedback would be a great help to me, would love to know how you enjoy your job, what you dislike the most, the pay, etc. etc. P.S- a friend who’s cousin is a RN told her that the nursing classes are alot harder then the job itself..is this true? Januari, thanks for your questions. They are super great questions and hopefully I can help straighten them out for you. I will try to address each individually. No, 31 years old is certainly not to old to go back to school. I graduated with women who were in their 50s….so no way is 31 to old. I agree that there are a lot of negative stereotypes about nursing and it’s profession. Many of the negatives you hear are usually from burnt out nurses who need to pursue another career because nursing probably wasn’t their calling in the first place. All of the negatives you listed are not only associated with nursing but other professions too. Every job out there has employees who will gossip and “stab” each other in the back. The key to that is not getting involved in silly drama. Yes, you will encounter it at work but just ignore it and go on. Usually if you avoid it and are nice to everyone you will not get caught up in whatever drama of the week is going on. Plus with nursing there should really not be any drama because you are so busy on the floor taking care of patients there isn’t really any room to just sit around and gossip about people. If people are doing that they are being lazy and this is probably someone you don’t want to work with you on the floor. I’m not going to lie and say nursing is a desk job where you barely move. Nursing requires you to be on your feet for several hours at a time (especially if you are floor nurse). The key to taking care of your body is to wear comfortable shoes with support stocking, eat healthy, exercise, and get sleep. Usually the nurses who have to take leave of absence are the one who are in bad health because they don’t take care of them selves or already have underlying health issues to begin with. In today’s times there are many devices out there that help save your back such as lifts to lift obese patients and beds that help turn patients for you. Plus you have to use good body mechanics to prevent straining your back. Overall, if you take care of yourself and are smart about your health you should be fine. Yes, staffing is a issue with nursing. However, it really depends on where you work and where you live. For instances, California has very strict laws regarding patient to nurse ratio which requires hospitals to give you a limited amount of patient. I know where I work which is a ICU step-down unit I can only have 3 patients at a time and if you work in the ICU you are only allowed 2 patients but if you have serious patient it is a 1 to 1 ratio. In addition, at the hospital I work in the labor and delivery unit you are only allowed to have 2 patients and if one is in active labor you only have 1 patient. So it really depends on where you work on how you will be staffed. My advice is that before you commit to a position is to ask in the interview what the patient to nurse ratio is. Nursing school is hard but it do-able. From my experience it wasn’t torture but it was hard. I never encountered a teacher who wanted to make my life crap. Every teacher I had was great and into teaching. However, just as with staffing it all depends on what nursing school you go to. I’m sure there are really mean teachers out there teaching in nursing school. I wouldn’t take what you heard from some one elses bad experience in school and apply it to your future because it is very likely you won’t even encounter someone like that. There are some doctors and nurses out there who are on power trips and are just mean to everyone but the ones who are not out weigh the ones who are. I have encountered many respectful doctors who didn’t treat me like moron and same with nurses. It really depends on who the person is and their personality. However, with any other job you are going to have co-workers who will treat you like a moron so its just not with nursing. When someone treats you like this tell them or just ignore it and go on….who cares what they think because your not a moron. Yes, some nurses loses their licenses and it can happen but it is usually a justifiable reason. If a medication error is made and the nurse gives the medication. Not only is the nurse responsible but so is the doctor and pharmacists. I think the misconception here is that if you screw up one time you lose your license no ifs ands or buts…….but that is not how it works. You would really have to screw up….like doing something intentionally (give a patient medication you KNEW would kill them OR stealing narcotics but even with stealing narcotics they sometimes suspend your license until you get drug rehab help…etcs) to lose your license. I personally think nursing school was a lot harder than nursing itself but that is just me. I LOVE my job and so glad I stuck with becoming a nurse. All of the negatives you pointed out are really a matter of opinion and usually come from people who don’t like the nursing profession and are exaggerating the situation. Thanks Januari for your questions and I hoped I helped clarify some things for you. Good luck with whatever you choose to do!